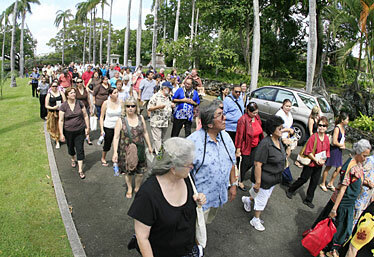 A procession of indigenous people entered the Royal Mausoleum during the World Indigenous Nations Higher Education Consortium on Sunday at Mauna 'Ala in Nuuanu. The event, hosted by Chaminade University, included indigenous people from Alaska, Aotearoa (New Zealand), Australia, Canada, Saamiland, Somalia and Taiwan as well as Hawaii and other American states. 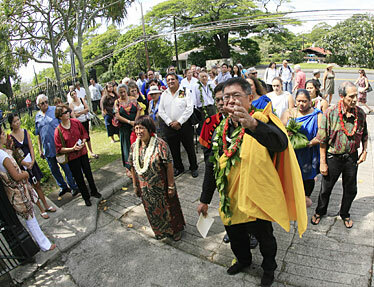 Kamuela Chun performed an "oli komo" before entering the mausoleum.